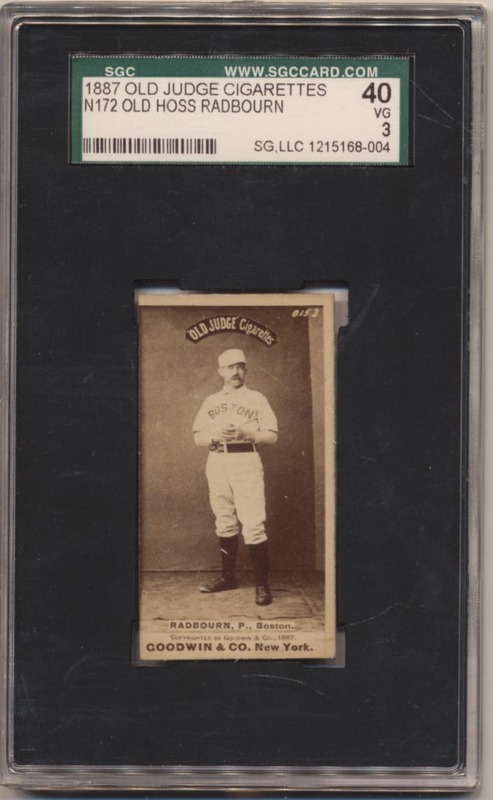 Cut to the left border, this Old Judge HOFer has a STUNNING image. The quality is amazing, it is perfectly clear and bold. The edges are sharp, the corners come to points, the back is clean. This is a very, very attractive and fine example of one of the most desirable Old Judge HOFers.